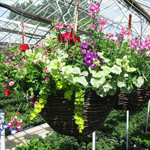 Campanula Summer Hanging Basket, in a white faux ceramic pot. 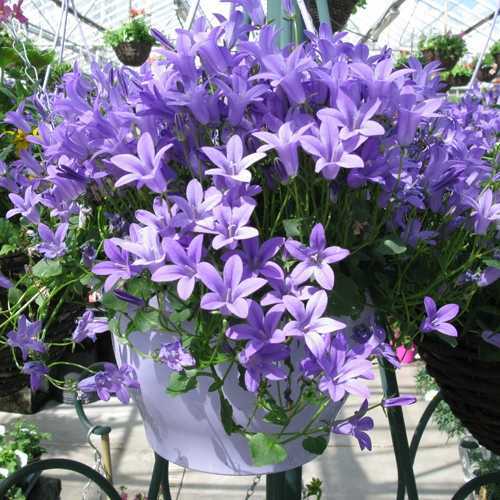 Campanula is an attractive perennial plant. 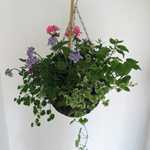 It has lovely violet blue, bell shaped flowers that sit above dark green foliage.